Are you aready CrewMember? Login Here. Hey everyone. I hope you are all having an awesome day. As luck would have it, today is my birthday! While I like to get gifts and what not, I would rather hook it up for you guys. I am running the second ever CrewMembership sale. What is the “CrewMembership” you ask? 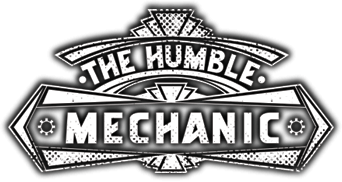 Well it’s the premium membership side of Humble Mechanic. USE THE CODE “Birthday” to get $20 off your first year of CrewMembers! What You Get As A CrewMember? Remember when I said I wanted you to get a return on your investment? Well, here it is, for about $0.17 a day, you can help support the hard work that it takes to produce the show. You can feel good about that! But I want more for you. I put together benefits that you can’t get anywhere else. These benefits can more than pay for your CrewMembership. Super secret Facebook page. I will be doing FB live videos from here. This will be a growing list of CrewMember benefits. It’s important to me that you get an amazing return on your CrewMembership. Join up as a CrewMember now!